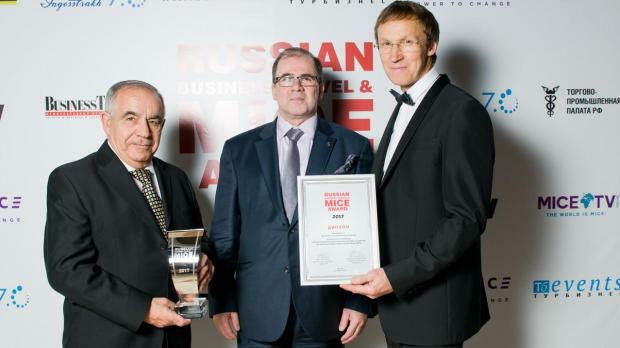 Malta Tourism Authority’s Moscow office has been awarded “The best national tourism office or convention bureau in the field of MICE promotion” award during the eight annual ceremony of the Russian Business Travel & MICE Awards, held in Moscow. The award was received by Anthony Caruana, MTA’s representative in Moscow and Carmel Brincat, Malta’s ambassador for the Russian Federation. The award is recognition of the work being done by the MTA and Conventions Malta in Moscow, which fought off competitors including Spain, Italy, Israel, Germany, and various Russian regions. The award was established in 2010 by the Chamber of Commerce and Industry of the Russian Federation, Business Travel magazine and Conference.ru portal and is supported by the Federal Agency for Tourism of the Russian Federation. It is considered as the most prestigious award in its category in Russia. Over 200 nominees vied for the award with the winners being chosen over two stages. The first stage took place online, over a period of three months, with two million internet votes being submitted in 14 categories.